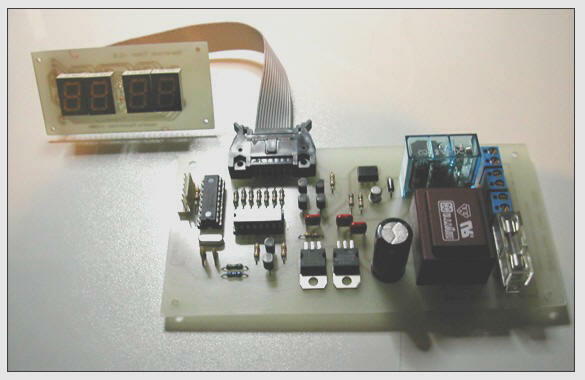 This is an improved version of the Darkroom Timer originally created by Stan Ockers (1999). Some extra features were added and the PIC code was modified accordingly. Lamp(s) light at start of timing and turn off when timer reaches zero. 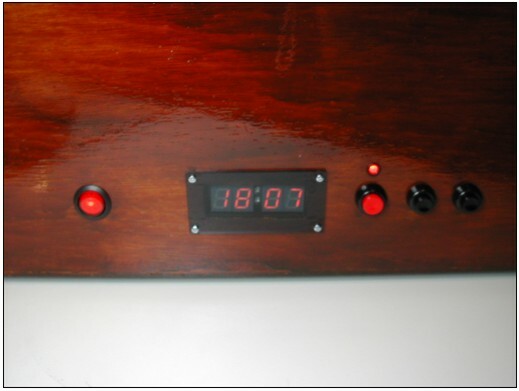 A set of leds were added between the minute and second leds which blink during timer operation. 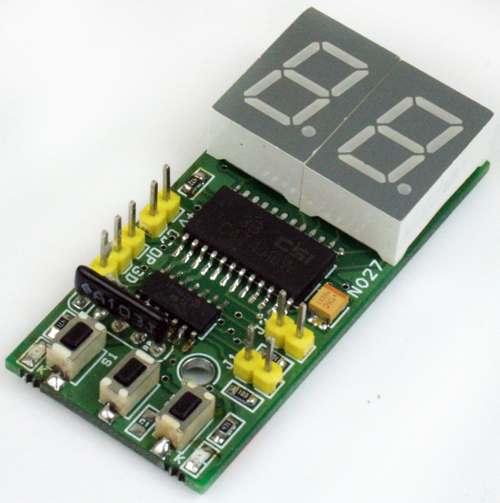 7 segment displays include tails for digits 6 and 9. 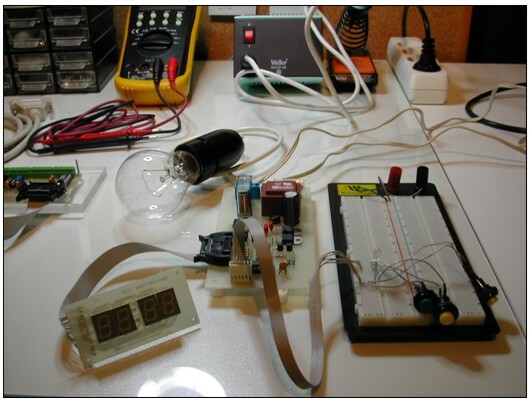 A bicolor led (common cathode) indicates standby (green) and timer operation (red). 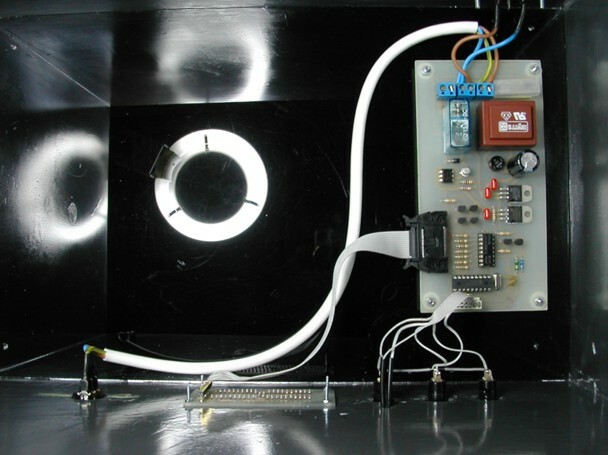 Separate PCBs were designed for the led display and the timing system. 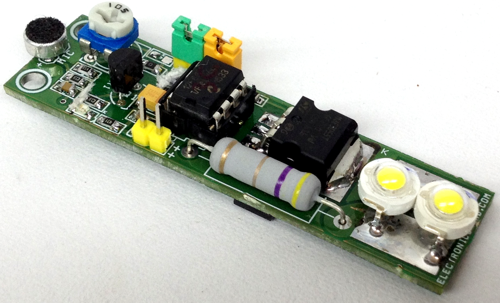 The power supply is also integrated in the PCB. 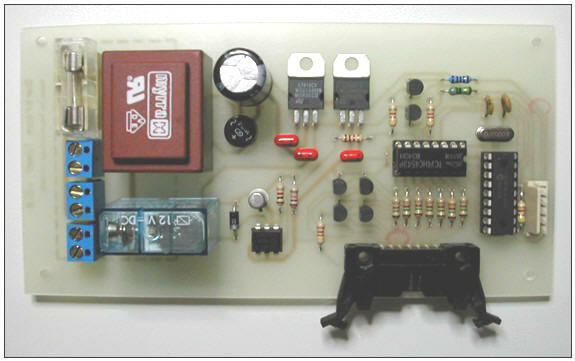 The complete schematic, PCB and silkscreen are available in high resolution pdf format. The component values are clearly indicated on the silkscreen. 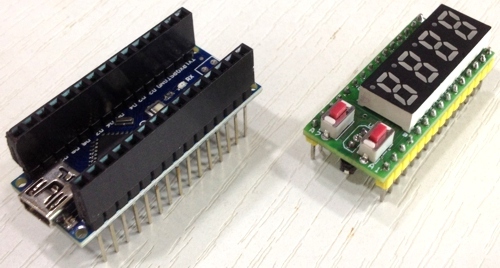 The modified source code is available in asm and hex format (compiled in MPLAB). 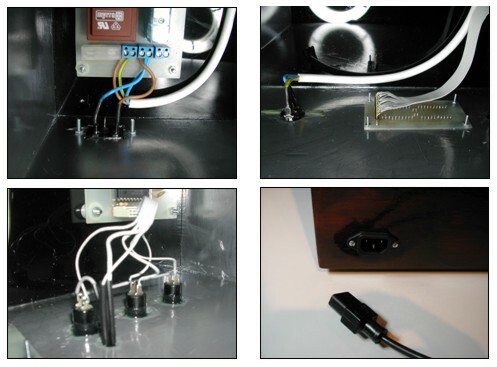 Connect the three switches between pins 1, 2, 3 and ground (pin 6). 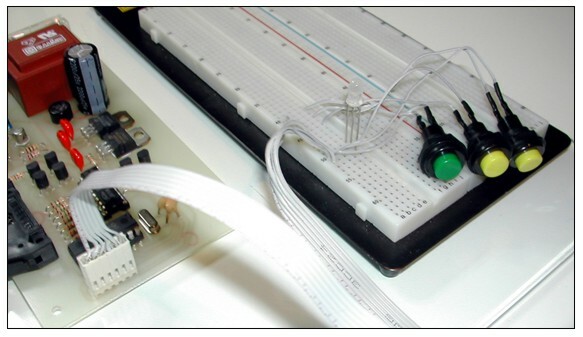 Bicolor led common cathode is connected to ground (pin 6). Start switch starts the timer. Pressing Start again (before or after timer reaches zero) resets the timer to its initial value. Set switch sets the time of the current memory position. This is done in a digit‑by‑digit fashion. Select switch rolls the time values through the 15 memory positions. superb project I like this. 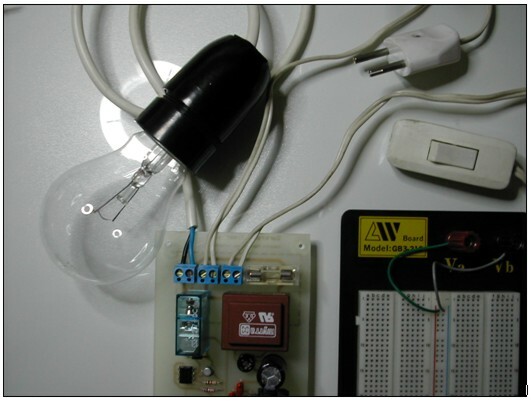 I make this project work perfect Thank You Electronics-Lab for this superb project. How can I add Buzzer? You will need an PNP transistor, connected that way, that it will not conduct as long as there is voltage on pin4 of OK1 and will conduct when there is no voltage. 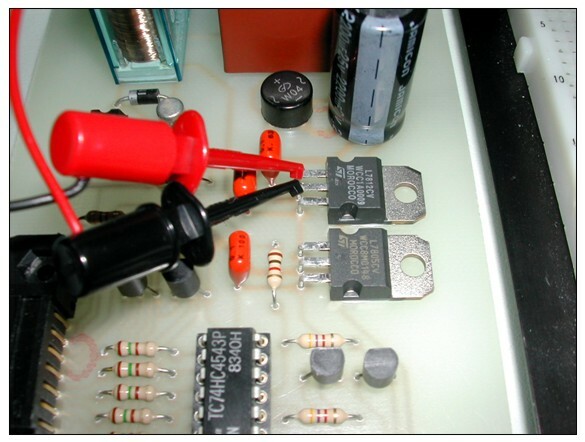 This PNP transistor will be used to switch the buzzer ON when the time is over. For more details, please open a forum topic, so we can attach an image there.